You’ve been asked (or maybe you actually volunteered) to do an in-person presentation. Now what? You’ve survived your own share of horrendous presentations, and you don’t want to inflict one on anyone else. How do you prepare? How do you keep people interested so they don’t spend the whole time on Facebook? How can you make a PowerPoint that actually helps and doesn’t just contain a bunch of bullet points? The questions can be overwhelming and the challenges numerous. Find out what works and what doesn’t, and how to keep your audience engaged. 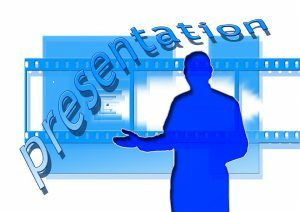 Learn how to avoid the common mistakes that newbie presenters make while discovering what it takes to get asked to do it again–you can make your first (or next) presentation ROCK!